The current batch has an increase in the female candidates, with 23 per cent of the female students registered in 2019-20. Apart from the rise in gender diversity, the current batch is also very diverse in terms of work experience, claims the institute. 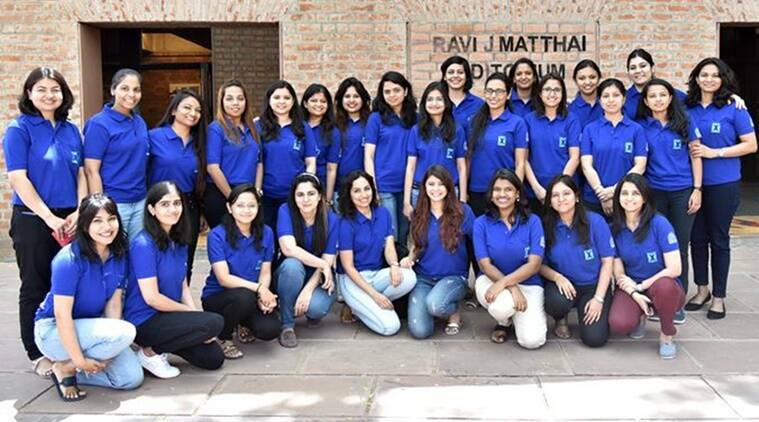 In the 14th batch of the Indian Institute of Management (IIM) Ahmedabad’s one-year full-time residential Post Graduate Programme (PGP) in Management for Executives (PGPX), there is an increase in the female candidates, with 23 per cent of the female students register in 2019-20 batch. Last year, in 2018-19, the percentage of female students was 17 per cent. Apart from the rise in gender diversity, the current batch is also very diverse in terms of work experience (21 industries, innumerable functional areas, and 140 companies), NRIs (9.29 per cent are residing outside India, spread across 6 countries) and international work-experience (35 per cent of the batch has worked abroad before joining PGPX), mentioned the official release. The 2019-20 batch has an average GMAT score of around 702 and GRE score of 320. The age of the candidates vary around 32 years, average total work experience of 8.9 years, and average international experience of a year and half. Launched in 2006, more than 1000 students have graduated from PGPX so far. Till 2016-17, the PGPX intake was 90 and from 2017-18, the institute added one more section to enhance learning experience of participants. Established in 1961, the Indian Institute of Management, Ahmedabad (IIMA) is recognised globally for excellence in management education. The flagship Post Graduate Programme (PGP) is ranked 21st in the Financial Times Masters in Management Ranking 2017.